At Conroy Optometric Centre, we have a comprehensive selection of designer frames. Our trained professionals will help you choose the best lens for your prescription and help you find your best look in our designer frames. We offer these in various coatings, including scratch resistant and colour tinted. With our on-site laboratory, we are able to manufacture most single vision lenses immediately so you can enjoy your new glasses right away! We have a wide range of prescriptions, in sample contact lens for you to try out to see if contact lenses are right for you. All you need is a thorough eye examination by one of our optometrists in order for your contact lenses to be properly prescribed and fitted. As your eye doctor we can then help you find the type of contact lenses best for you, based on your vision problems, history, occupational, recreational requirements, and other factors. 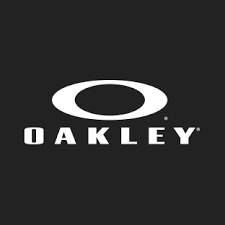 We have just added Oakley to our designer line of frames. This is in addition to our lines of Gucci, Alfred Sung, Hugo Boss, Hugo Boss sunglass, Bolle, Max Mara, Champion, Nicole Miller, Nina Ricci, Banana Republic, Aristar, Valmax, Kliik, Fysh, Silhouettes, Maui Jim (sunglasses), Marc Jacobs sunglass, Aspex (magnetic sunclip eyewear), Elle, Sesame Street, Ann Taylor, Vera Bradley, Jungle, Denim, Tura, TMX, Opus and Ray Ban.